Attention to lovers of the all-new 2018 Expedition: lease one for as low as $475/mo* at Brighton Ford! 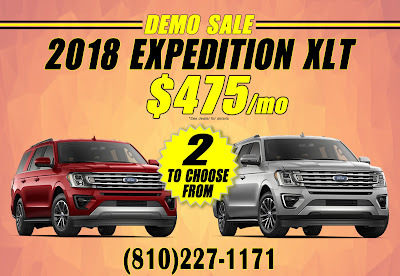 Our demo sale makes leasing a new Expedition affordable. Our demo vehicles have around 2,000 miles on them and give you an extra rebate of up to $2,500, making them a great deal for anyone in the market to purchase or leases a new Ford. 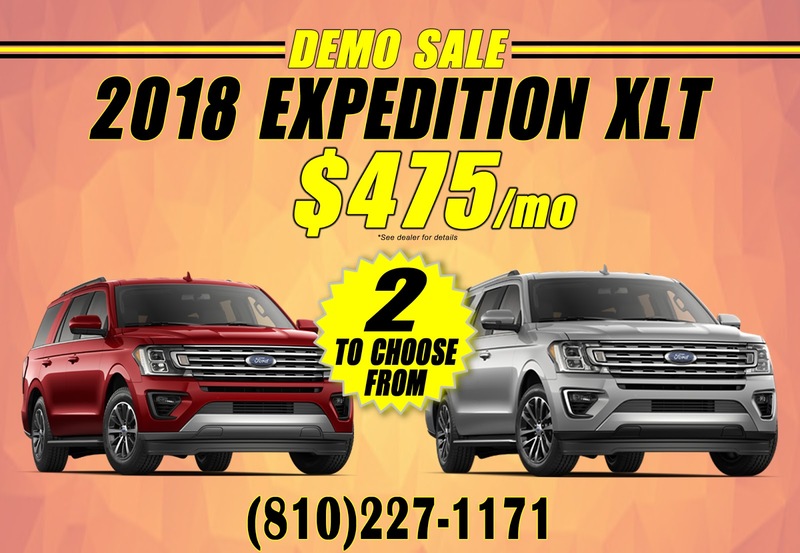 We only have two Expeditions available at this price, so don’t hesitate to call us for details and schedule your test drive at 810-227-1171.